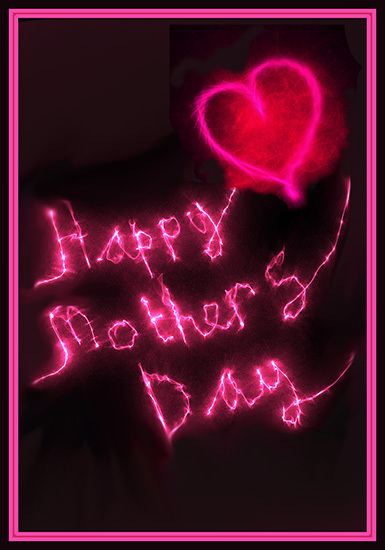 Receiving a Mother’s day greeting card is really, really nice, I can tell you that with lots of years of experience! When my kids were small, they made cards for me at kindergarten, or together with their father, and on the morning of Mother’s Day these wonderful cards decorated the breakfast table when I was finally allowed to get up! As my kids grew up, they often forgot everything about Mother’s day, and of course it didn’t matter to me, as I knew very well that they cared anyway. 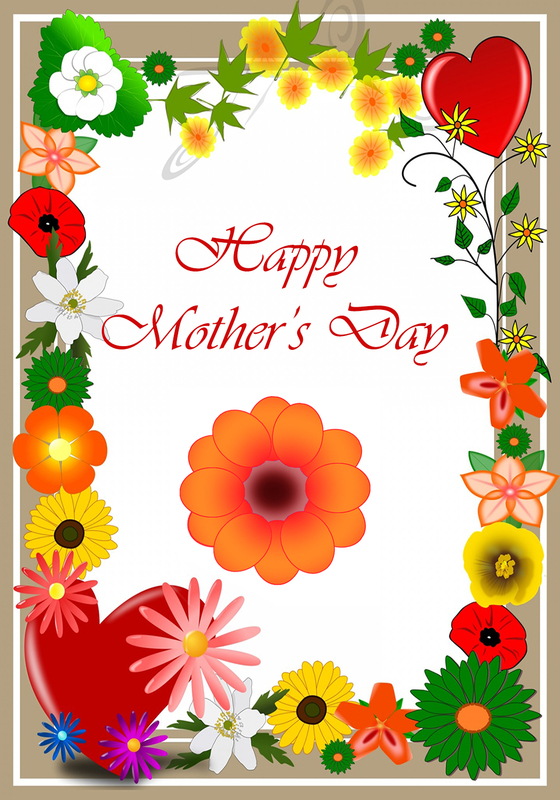 Today I am so lucky to have a lot of grandchildren, and even even though I am not their mother but their granny, I every year receive cards and letters in my mailbox or on the cell phone, mostly printable Mother’s day cards or DIY cards. I enjoy these cards so much, and put them on my Bulletin board so my grandchildren can look at them and know that I am happy about their cards. Which card you want to send to your mother (or any other mother) on Mother’s Day is completely depending on who you are and who your mother is. Some will prefer a card with memories of the old days, others will send a humorous card, and still others will send a more neutral card. 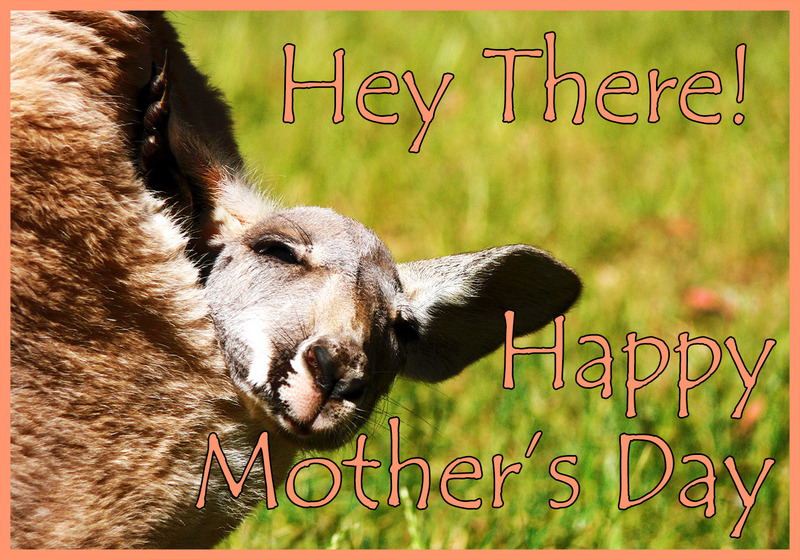 When you find a card you like, click it to come to the best printable version in another tab. Save that one and print it, or write a message on it before printing in a drawing program. 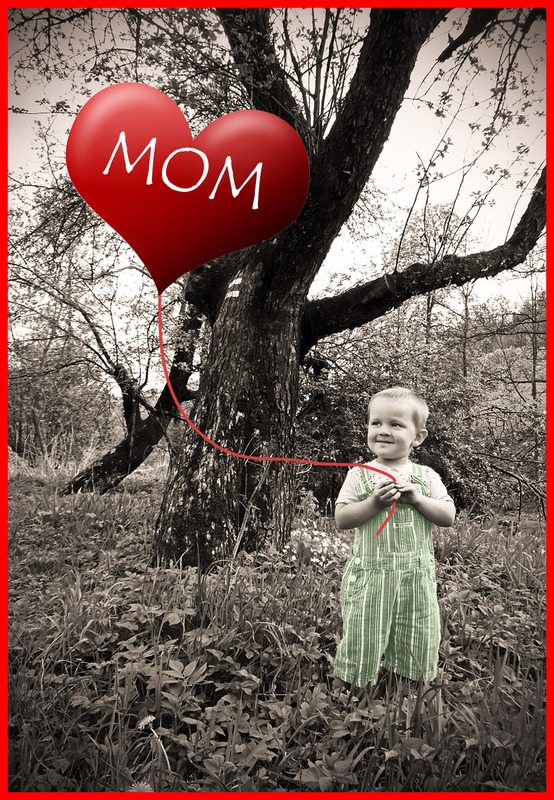 You can use these Happy Mother’s day cards in many ways. 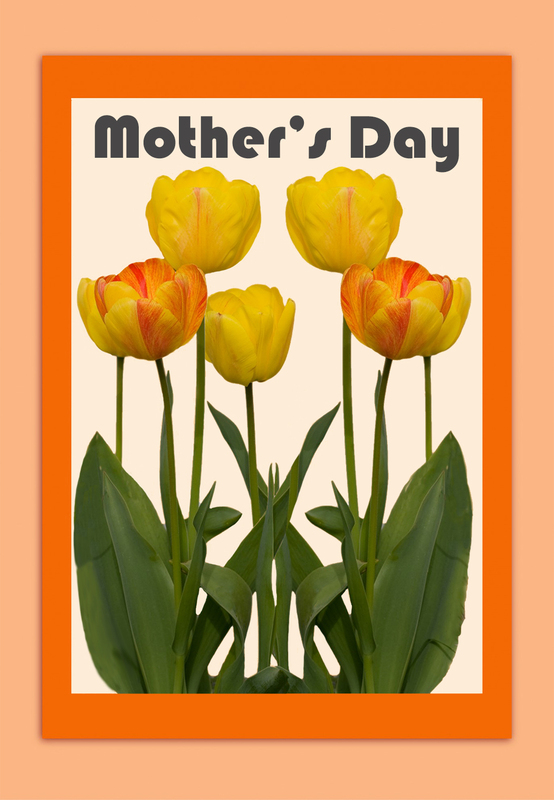 You can print them and send them by snail mail or you can, as my family often does, give them as little greetings on the breakfast table or with flowers. 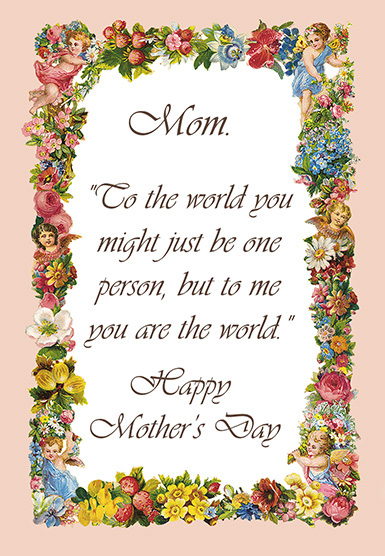 You can also attach a card to an e-mail, or send it as a picture on your mobile. 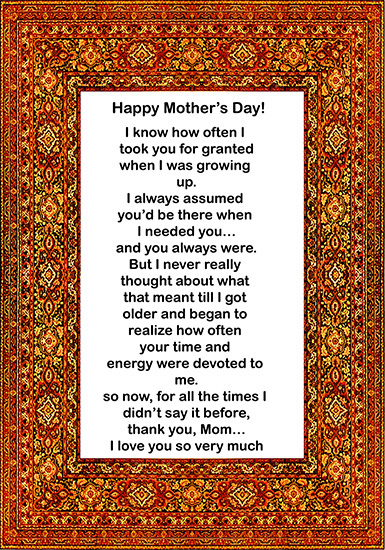 Here on this page with Mother’s Day cards you will find a little of everything, and together with these Mother’s Day printable cards you will find some Mother’s Day poems, and I hope that you will find both a card and a poem that will suite what you want to say with it. All the cards here are the size 3,5 x 5 inches printed in 300 dpi, a really good card quality! 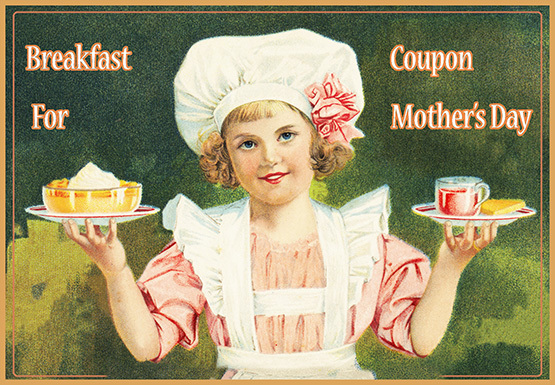 I think the breakfast looks delicious, and surely wouldn’t mind to get a card like that! Next card is in the same line, but you don’t have to give this card before the big day, as this Mother’s day coupon can be redeemed anytime during the next year. 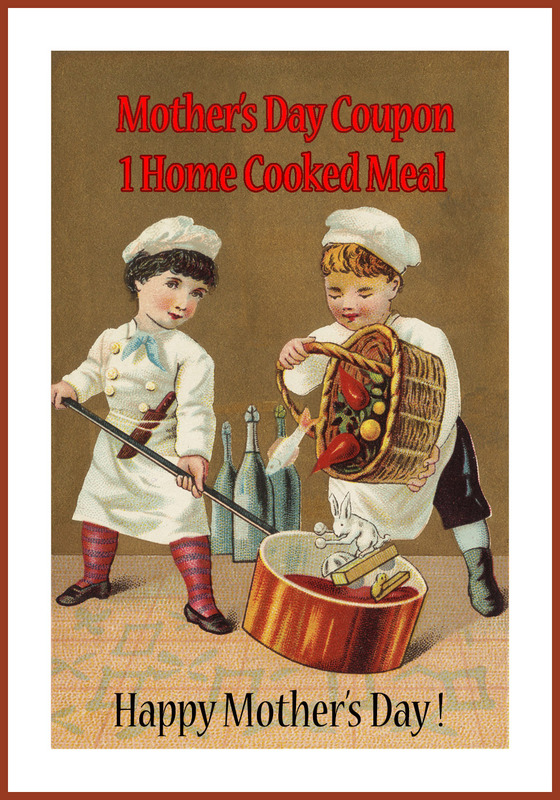 Of course it can also be given as a telling that there will be a nice home cooked meal waiting at the end of the day. 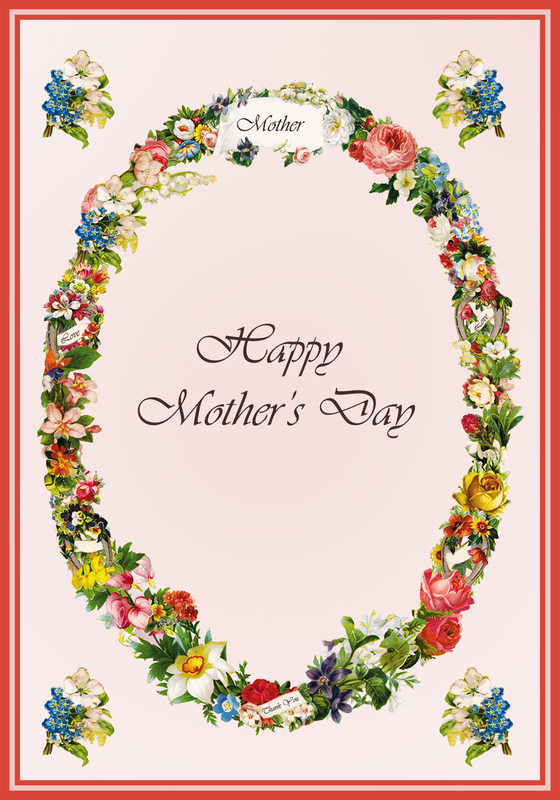 Another of the Happy Mother’s day cards with a beautiful border made of flowers, berries and angels. A more “rough” card, with the text written in neon light and ending in a red heart. The next card is with a little boy with a big red balloon, where it is written: MOM in big letters. Cute and funny, isn’t it? 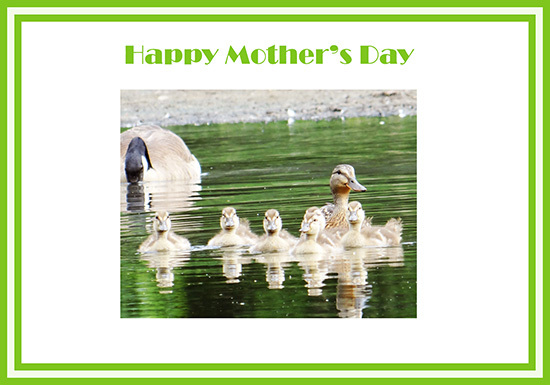 The next card is more cute than funny, with a duck and her ducklings swimming happily around. 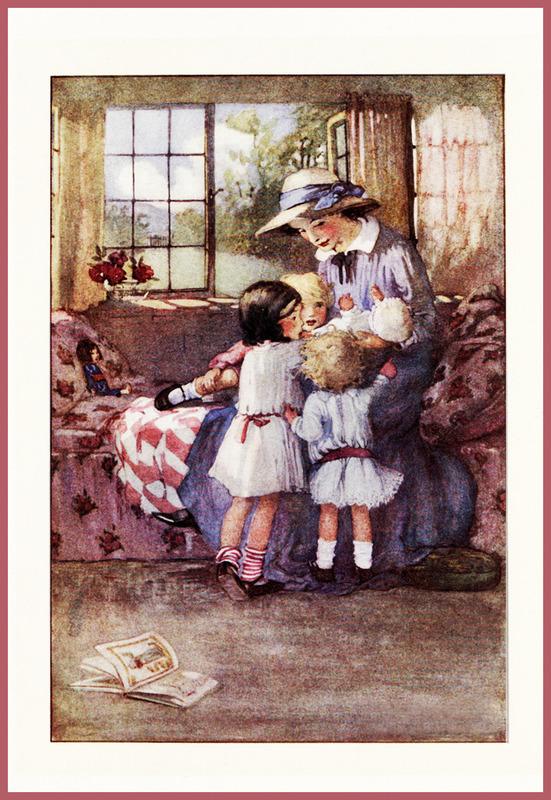 Another of the Happy Mother’s day cards with a frame of flowers, small texts saying “Mother, Love and Thank You”. 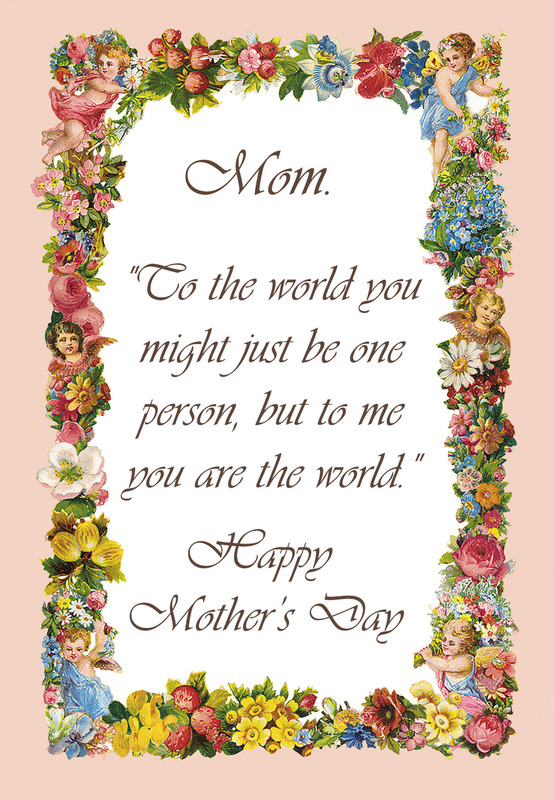 I love you dearest Mommy. 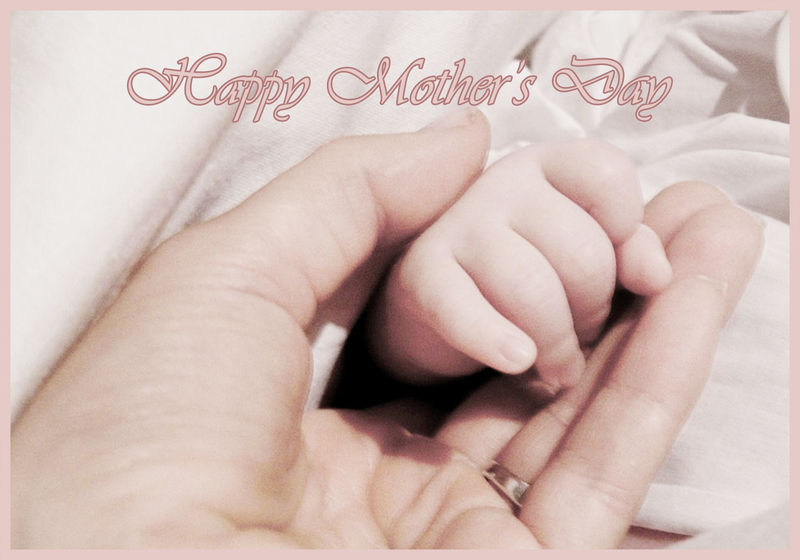 Who wouldn’t love to receive a card like that on Mother’s Day, or any other day, for that matter? This is the text on the next happy Mother’s day greeting card, with a beautiful frame of flowers and fruits. 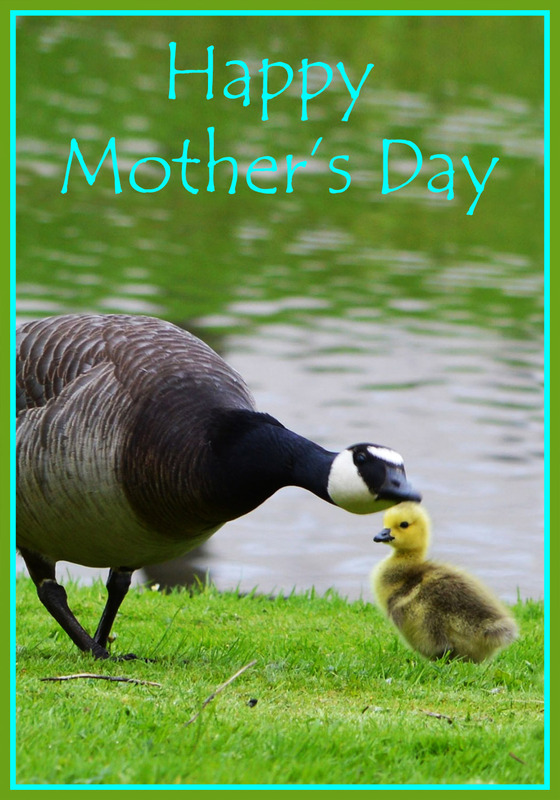 “Happy Mother’s Day”, a greeting with a goose caressing a gosling. 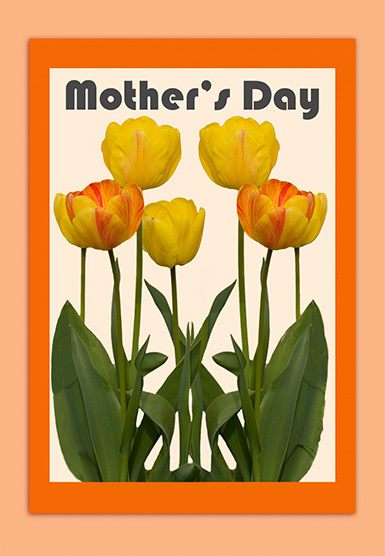 And a Mother’s day greeting card with tulips. 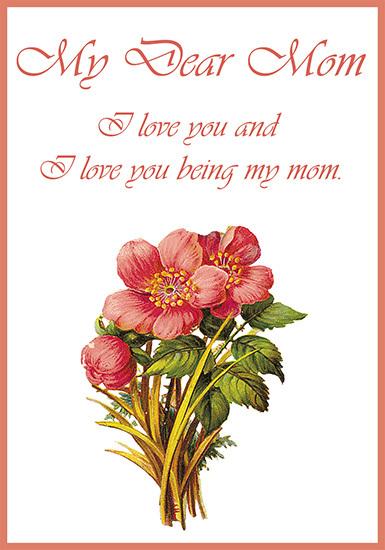 This card will be great to give together with a bouquet of flowers, or, to send or give instead of a flower. Isn’t this card just adorable? For the new mother, a picture of a mother holding her baby’s hand. 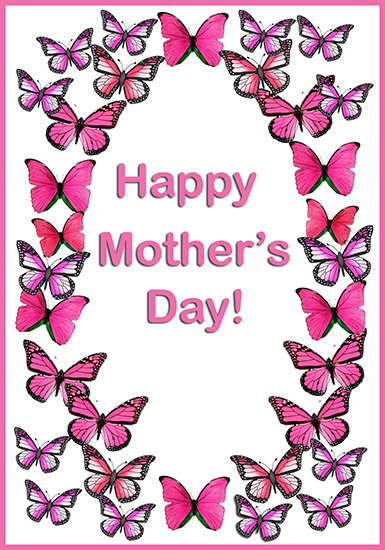 One more of these great Mother’s day greeting cards, this one with lot of pink butterflies. 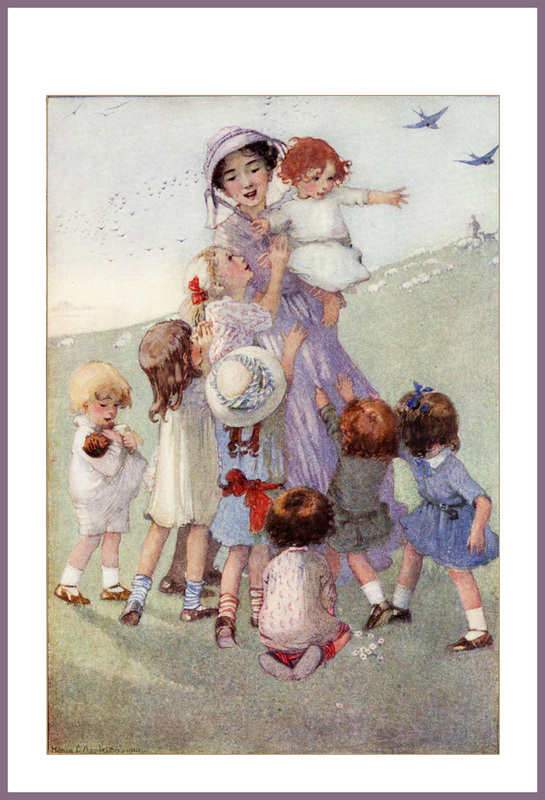 Two Happy Mother’s Day greeting cards with wonderful vintage drawings of women with children. These two cards don’t have a text written on the front, but I think they will be great for a Mother’s day card. Almost the last card here is wit a frame with drawings of flowers and hearts. 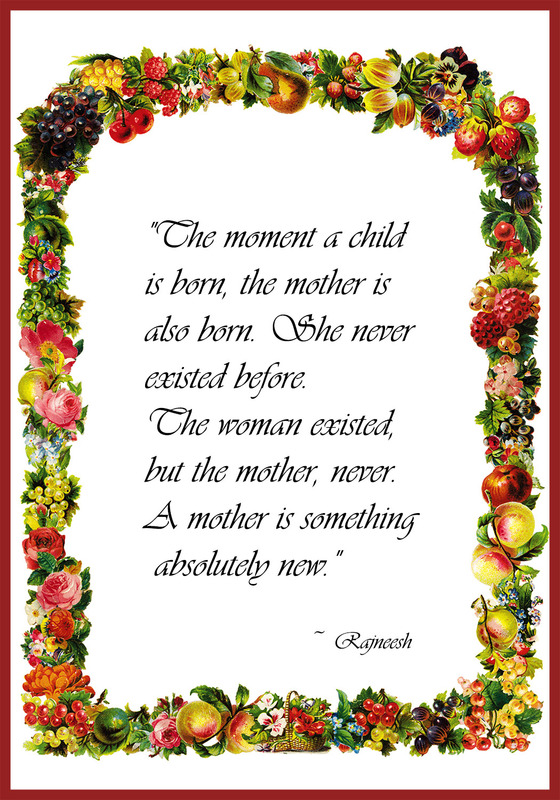 I always assumed you’d be there when I needed you …. your time and energy were devoted to me. 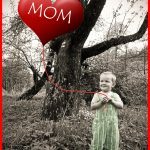 If you would like to have more cards to choose from, I suggest this page, where you also will find original cards to send for Mother’s Day and ideas of gifts to make for that day.